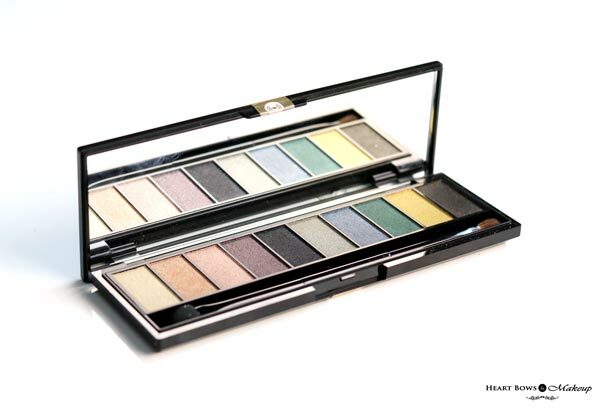 This year as part of the Cannes collection, L’Oreal Paris came out with some beautiful eyeshadow palettes. I know I’m very late to the game when it comes to reviewing them but better late than never. I got the L’Oreal Paris Color Riche La Palette Gold in my PR package which I will be reviewing and swatching today. Read on to know how well this fares. 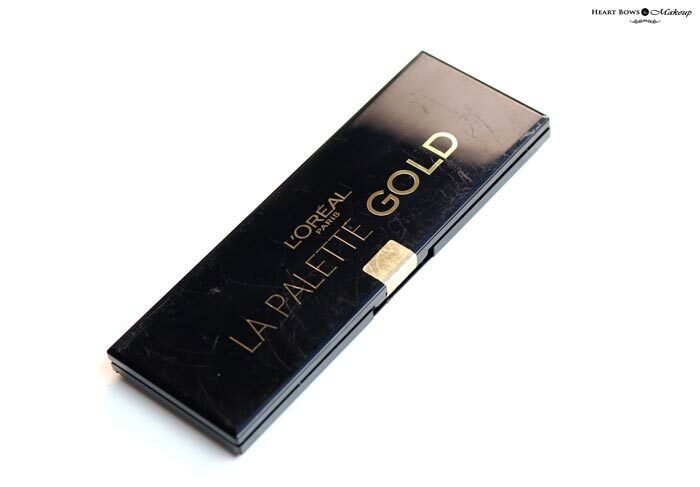 The L’Oreal La Palette Gold is packaged in a black casing with gold accents. It contains 10 eye shadows and comes encased with a mirror. The palette also has a dual ended applicator with a sponge on one side and bristles on the other. The packaging looks attractive, is easy to carry and is travel friendly. The La Palette Gold by L’Oreal Paris contains a beautiful mix of neutrals, purples, blues and darker shades in a shimmer finish. The shades are perfect for Indian weddings or parties and I especially love the purples, blacks and blues. However, the palette does not contain any transition shades so it is not possible to create a complete look with it. I really wish they had added some matte shades as well. 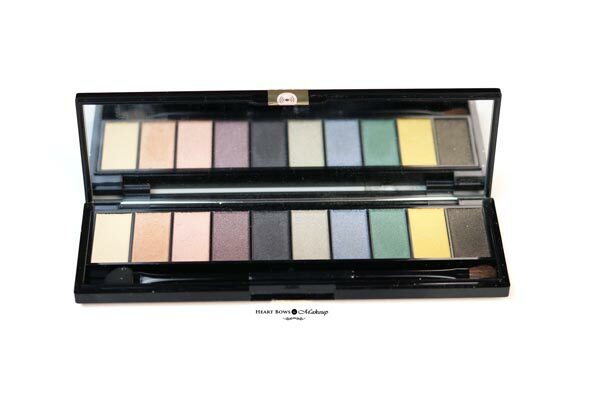 The L’Oreal Gold eye shdow palette has a soft and smooth texture. They do feel a bit chalky and there is quite a bit of fall out upon application. 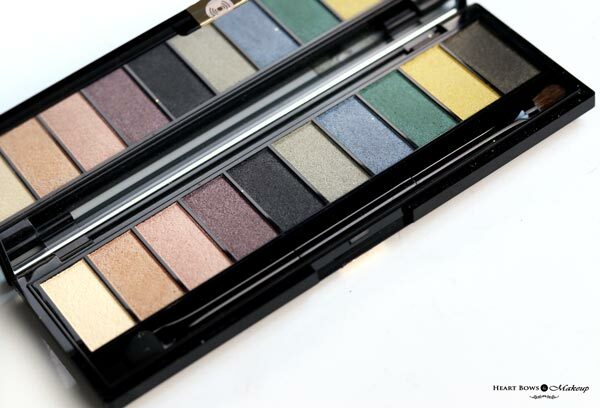 For me the good points about the palette end at the shades and packaging. Personally, I find the shadows to be too powdery and they blend into nothing. 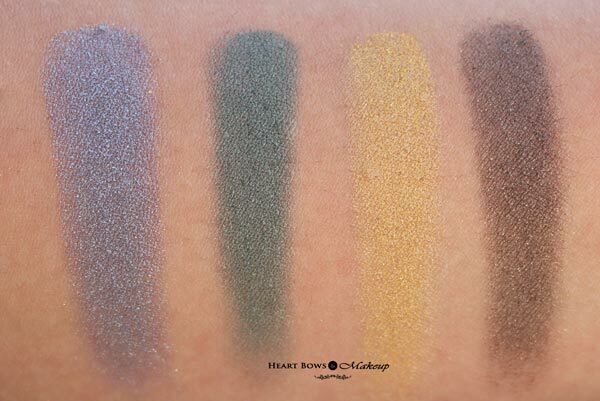 The colors though look pigmented upon swatching but these do not apply well. Maybe they will perform better when applied with fingers but personally I only use brushes for applying my eye makeup and that is how I judge all my products. I’ve tried using it these with different primers and eyeshadow bases and yet the pigmentation was very low, similar to those of the Maybelline Diamond Eyesahdows . The black and the purple shades are better pigmented but they too get wiped off while blending. 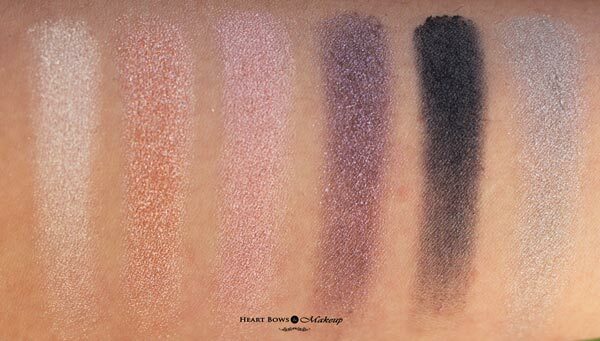 I wouldn’t mind the pigmentation if they blended well since they could make for a great option for beginners however this palette requires too much effort to make it work. As for the wear time, the slight wash of color stays put for around 3 hours or so. Long story short, it was a very disappointing product. I’ve read many great reviews on this palette but my personal experience with it, hasn’t been any good. I’d rather get myself MUA, Makeup Revolution or Freedom Pro palettes instead. HBM Recommendation: This has to be one of lowest ratings I’ve given to a product so that says it all. I’ve always had a great experience with L’Oreal Paris products and this was one of my first few disappointments from the brand. I don’t see myself recommending this palette to anyone. *PR Sample. However, my opinion remains honest and unbiased.